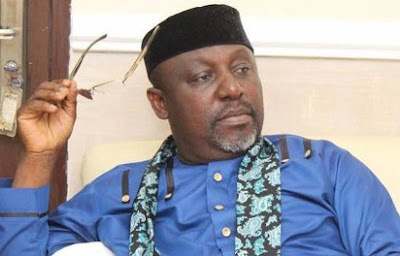 Imo State Governor, Rochas Okorocha yesterday said that only his son-in-law, Uche Nwosu, can win Imo 2019 governorship election in the state. He however maintained that Imo people, especially APC members in the state would continue to respect the Judiciary and its decisions. “The governor also urged members of the party in the state to remain united and continue to work-hard for the party,” Onwuemeodo stated.